Programmes of the Lagos State University Directorate of Sandwich Degree Programme. Health Education, Health Education, Educational Technology, Computer Science Education. iv. B. Ed. : Early Childhood and Primary Education, Guidance and Counselling Education. subjects at A’ Level or NCE Merit Passes in relevant areas. iii. Advanced Diploma in Sports from Nigerian Institute for Sports. Language and Credit Pass in Mathematics or its O’ Level equivalent. v. Mathematics and Science Major: Credit Pass in Mathematics and English Language. other entry requirements NCE (Arabic) at Merit Level is also acceptable. c. LASU accepts any other Arts/Social Science subject in lieu of Yoruba. 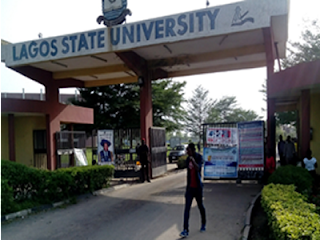 d. LASU accepts only NCE (Merit) in English and one other Arts subject. Merit Passes, which should include English Language. qualification for the Four (4) year Sandwich Degree Programme. Directorate of Sandwich Degree Programme. means aside from the one above, does so to his/her own disadvantage. Application closes Five (5) Weeks from the date of this publication.